St. Joseph's Cathedral, HanoiOn arrival, you will be welcomed by your guide and taken to the Hotel. In the afternoon, a relaxing treatment in the city's best spa pampers you and your loved one. A delightful Vietnamese dinner with a French touch awaits in one of Hanoi's most charming restaurants housed in a beautiful villa. 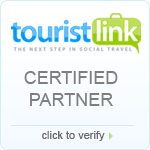 Included: Ground transportation, hotel in Hanoi, tour guide and welcome dinner. Cyclo around the Old QuarterThe day commences with an insider's tour of Hanoi. Take a walking tour with a specialist guide who will offer up his in-depth knowledge to enhance your visit to the Long Bien bridge. The afternoon is dedicated to the discovery of the city's old quarter on foot. When evening comes, enjoy dinner at one of Hanoi's best tables. Enjoy sunset from Westlake and one of the city's oldest Buddhist pagodas, Tran Quoc, and the nearby Taoist temple of Quan Thanh. Halong CruiseLeaving Hanoi by road for Ha Long Bay, enjoy the journey en route as the car weaves through the picturesque countryside landscapes. Arrive in Ha Long and board your private, traditional junk boat that cruises among the un spoilt limestone islets of Ha Long Bay. After the sun sets, enjoy a romantic dinner in a private setting on the boat's deck before retiring to your cabin for a good night's sleep. Danang beachAs your boat cruises back to Ha Long City through the spectacular karsts and limestone rock formations, have a leisurely morning before enjoying brunch on-board. Your driver will meet you upon disembarkation for the transfer to Noi Bai airport and your flight to Da Nang. En-route visit Thanh Chuong Palace, the home and studio of one of Vietnam's most celebrated artists. Hoi An ancient townAfter breakfast, explore Hoi An by walking through the quaint streets of this heritage town, which remains much the same as it was in its heyday 200 years ago. After a delicious lunch, the afternoon is free for you to relax with the car and guide at your disposal. Browse for souvenirs in the eclectic array of art galleries and silk shops, enjoy a cup of coffee at a local cafe or cycle to the nearby Cua Dai Beach. Thu Bon River, HoianFollowing breakfast, depart for a half-day cooking class at Tra Que, a charming village in Hoi An's rustic outskirts which supplies vegetables to kitchens all over the country. Spend the morning working with the villagers as they show you the ways to harvest and prepare fresh vegetables for meals. Cook a lunch of Vietnamese dishes with your hosts before enjoying the fruits of your labour. Return to Hoi An town for a leisurely afternoon. Honeymoon in Nha TrangA short flight southwards leads you to Nha Trang, Vietnam's beach capital known for its golden stretches of sand, crystal clear waters and idyllic islands. Check into hotel in Nha Trang, an exclusive resort nestled on a deserted beach accessible only by boat. Enjoy the seclusion of your private pool villa with a personal butler assigned to arrange all your wishes. Nha Trang BeachSpend the next two days at your leisure. Sample the fusion cuisine at the resort's restaurant, pamper yourself with the rejuvenating treatments at the signature on your hotel or snorkel/dive the turquoise waters to view the magnificent marine life. Honeymoon in Nha TrangAfter breakfast, depart for the dynamic Ho Chi Minh City on a short flight. At Saigon, you will be taken on an orientation tour of the city in a classic Citroen car, cruising past highlights such as the Presidential Palace, War Remnants Museum, the colonial Notre Dame Cathedral and the Old Saigon Post Office. The rest of the afternoon is at your leisure to discover this bustling city at your own pace. Mekong Floating marketToday, leave the hustle and bustle of the city and head for the rustic countryside in Mekong Delta. Upon arrival, board the private 'Song Xanh', a small but luxurious boat that allows you to discover the narrow canals and tributaries with ease. Lunch awaits at the home of Mr Huyen Thuy Le, the 'lover' in Marguerite Duras' famous novel. In the afternoon, head to Can Tho on your sampan, visiting a Cao Dai temple en-route. As the sun sets, enjoy a romantic candlelit dinner in a 19th century house before cruising to your anchor point for the night. Mekong riverThis morning, the Song Xanh takes you to Cai Be Floating Market, cruising amongst rice barges, wooden ship-building yards and locals drying fruits and vegetables on the Mekong's banks. After your cruise journey ends, transfer to Can Tho airport for your flight to the sleepy and beautiful island of Phu Quoc. Phu Quoc IslandSpend the next thee nights in the perfectly laidback surroundings of Phu Quoc. Recommended touring options include diving and snorkelling trips to the outer lying reefs or a trekking excursion in the pristine rainforest of the island's interior. Saigon Notre-Dame CathedralComing to the end of your honeymoon, enjoy some free time before your transfer back to Ho Chi Minh City. If time permits, shop around for some last minute purchases or simply relax before your onward departure flight.